Mount Elbert is the highest mountain and highest Fourteener in Colorado. It's located in the Sawatch Range, just 16 miles southwest of Leadville. How High is Mount Elbert? 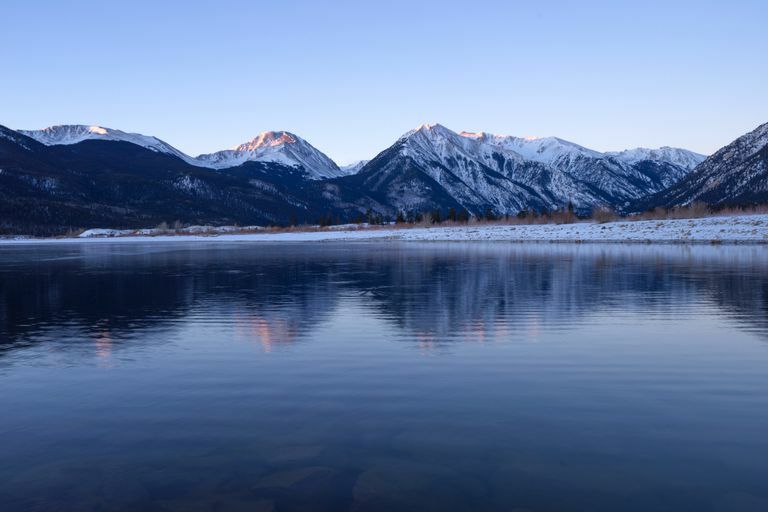 Mount Elbert carries many distinctions for its height. It's the highest mountain in the 3,000-mile-long Rocky Mountains, a mountain chain which stretches from Canada to Mexico. It is also the second highest peak in the contiguous lower 48 states after 14,505-foot Mount Whitney in California and is the fourth most prominent peak in the lower 48 states. Its location in relation to the Continental Divide makes it the highest mountain in the Mississippi River drainage. During the 1970s a group of Mount Massive aficionados decided that Elbert's northern neighbor was more deserving of the honor of Colorado's highest peak. They repeatedly stacked rocks onto Massive's summit cairn in an attempt to surpass Mount Elbert. Elbert supporters would then climb the mountain and tear the cairn down. Eventually, the supporters tired of the game and gave up the fight. Mount Elbert is named for Samuel Hitt Elbert, the territorial governor of Colorado in 1873. Elbert came to Colorado in 1862 as secretary for Governor John Evans. He married Evans' daughter in 1865, then served in the territorial legislature before being appointed governor by President Ulysses S. Grant. Elbert served one controversial year before being replaced. He later served 20 years on the Colorado Supreme Court. The first recorded ascent was by H.W. Struckle of the Hayden Survey in 1874. Mount Elbert has been climbed not only by foot, but also by mule, horse, jeep, ATV, and even a helicopter, which briefly landed with a news photographer who deposited an evening edition of the Denver Post at the summit cairn. The easiest and most popular climbing routes are categorized as Class 1 to 2 or A+, gaining over 4,100 feet in elevation. The routes don't require any mountaineering skills or rock climbing. The two easiest ones are just strenuous day hikes. The North (Main) Elbert Trail is 4.6 miles long and begins close to the Elbert Creek Campground, gaining 4,500 feet. The South Elbert Trail is 5.5 miles long and gains 4,600 feet with an easier grade. The Black Cloud Trail is much tougher, a Class 2 climb that gains 5,300 feet and takes more than 10 hours. It's known for some very steep sections and loose rock. Check with the Leadville Ranger District, San Isabel National Forest for current trail information. 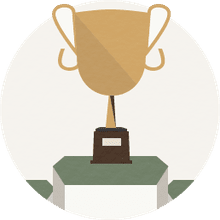 After the Colorado Avalanche hockey team won the Stanley Cup in 2001, Avs vice-president Mark Waggoner, an avid peak-bagger, toted the famed trophy to the top of Mount Elbert. "This is a dream come true," Waggoner told reporters on his cell phone after reaching the summit at 10:15 in the morning. "This is an exciting and proud moment for all of us. It's a beautiful, clear day. We can see for 100 miles."